This post was written by Adam Moore who has founded and led multiple companies to success during his career. Most recently he co-founded SpaceCraft, an Austin-based company leading the way in a new breed of premium web publishing platforms. So you started your small business to meet a need. The challenge is getting the word out to people who have that need. Unfortunately, this challenge confirms the truism that “you have to spend money to make money.” And it’s critical for your business’s growth that you spend money where it will give you the greatest return. This applies to expenditure of energy just as much as money. In building your web presence, there are more social media outlets, affiliate programs, link building opportunities and web design options than there are hours in the day. What’s most important? How do you decide where to focus your time and energy? And what are the best ways to increase your reach without maxing out your credit card or stress level? I’ve compiled a list of five things I believe are essential for boosting your web presence. By 2015, says the International Data Corporation, more people will access the Internet from mobile devices than desktop computers. This is already happening in specific demographics, such as 18-30 year olds, and certainly in industries such as the restaurant sphere where many people want to find menus, hours and locations on the spur of the moment. 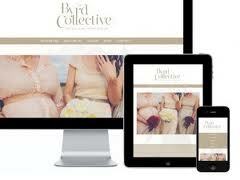 If your website isn’t scalable to smaller screens, you could be losing customers left and right. Having a website that looks and works just as great on a smartphone or tablet as it does on a PC takes your business to the next level of relevance and progressiveness. You get a website and it’s a thing of beauty. Then you wait and hope people find you. And after about five years, they do… well at least, that’s how it was in the old days. In the new world of constantly changing information and social media, it’s mandatory that you do more than just sit back and let your old content work its magic. Search engines reward websites that are updated frequently with new content. If you keep your content fresh, they bump you up in pertinent search results more quickly. To do that, though, you need to have a content management system (CMS) in place that allows you to feature up-to-date content; be it press releases, new team members, or recent photos. The fresher your content is the better off you’ll be. 3. Connect your social media. One easy way to update content regularly is to pull your various streams of social media into the central online hub: your website. Search engines read the feeds as fresh content. Doing this also gives visitors to your site the opportunity to discover your social platforms. Social media is an easy way to build your brand, and linking it to your site amplifies your voice exponentially. This allows you to reap large dividends from a small output of energy, extending your reach and refreshing the content available to search engines. Make sure your visitors can quickly and easily find what they’re looking for when they come to your site. Your design should be visually appealing without distracting them from the call to action on each page. The fewer the elements, the easier it is to direct their attention toward that “Purchase” or “Email Me” button. If you’re using a do-it-yourself tool to build your website, take it on a test drive yourself (or better yet, let a friend or family member try it out to avoid personal bias) before publishing it to make sure the website works the way you think it does. 5. Make sure you hold the reins. The best possible scenario is to have a CMS that you can edit and update yourself even if you lack technical skills. If you do hire a developer or freelancer to help you, make sure you state clear expectations and retain control of your content. There are several options out there for web publishing platforms, but very few of them offer all of the benefits we’ve listed here. Make sure you’re getting your money’s worth on a website so that your business reaps the benefits you’ve worked for.